Ancient Troy withstood pressures at its walls for a decade. Ultimately the Greek attackers, applying an extraordinary ruse, swept in looting or destroying everything. Located on a major trade route with acquisitive Hittite hordes to its east and an aggressive Mycenaean host west across the Aegean, Troy was a highly tempting target. In the past decade, invading and stripping half the Museum of Civilization became a vital mission to a handful of nationalist historians, and their choice of a Trojan Horse is the federal government. Those traditionalists, supported on record by a now boxed-in management, aim at replacing virtually all the main history galleries which now feature ordinary people and everyday life in Canada from AD1000 to 2000, east to west, by inserting instead displays portraying landmark political events, episodes, or persons. In short, the Museum would jettison its broad social history narrative for past parables stitched together with timelines, pictures, and labels covering the walls. Textbooks, anyone? In case we miss the point, the Heritage minister wants the name changed, too. Soon we’ll know it as the Canadian Museum of History. And this is in itself a triumph for the old time academics; they had Jean Chretien and Sheila Copps convinced in 2003 to convert the National Conference Centre into such a museum, but Paul Martin squashed it (and saved an estimated $135 million). According to today’s Stephen Harper government, $25 million is earmarked for the “upgrade”, funding that the Museum must share with other institutions across the country to travel artifacts. Between 1984 and 2002, when the Canada Hall permanent history exhibits took shape, upwards of $50 million was spent on researching, designing, building, and outfitting them. Annually one million plus visitors tour these displays; meaning amortized over a half century, that’s about one dollar a head. And given both their forthright chronological theme structure and regional storylines, those galleries, upgraded slightly as new knowledge warrants, easily could stand high in public understanding and acceptance for even a hundred years. One cannot claim such loyalty or longevity for narrowly focused, easily contested political history accounts. The Canada Hall is largely a series of past streetscapes, early industrial milieus, and almost forgotten frontiers – e.g. Maritimes (1530 – 90s), New France (1660s – 70s), Ontario (1790s – 1880s), Prairies (1920s -30s), BC (1920s – 70s), the North (1960s – 90s), etc. Covering 33,000 sq. ft. they are constructed using traditional materials and methods. 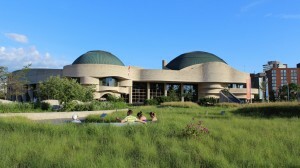 Moreover, these permanent Canada Hall historical settings are built and protected with extensive environmental, security, and other museum systems. Tearing out both the period structures and display infrastructures would drain much of the so-far allotted $25 million. To remove, replace, and match the quality of the current exhibits, that amount and twice as much again would be needed. Common sense says it simply doesn’t wash financially. Then there are moral and aesthetic questions: these permanent history displays are brilliant artistic as well as technical marvels; hundreds of experts and artisans worked to produce and animate them. Some years ago Clarence Tillenius, Canada’s foremost nature diorama painter, lamented the removal of his timeless works in a provincial institution to make room for temporary displays on management’s passing fancies. He was right; truly great art must not be sacrificed in museums for one hobby horse or another. Let’s probe deeper: museum visitors on average tend to read labels no longer than seventy-five words – that is, for eleven seconds. Yet doing justice to any political history event, episode, or personage is long-winded. Ironically, with the paltry leftover cash from tearing-out the present Canada Hall exhibits, there’ll be only enough money for plaster walls with reams of text next to wax dummies in period dress. What a come-down! Changing the Museum’s name may be a fait accompli, but there’s time to save the Canada Hall. There will be thousands of square metres available elsewhere inside where political or other borrowed artifacts can be displayed at costs that can fit the budget, if the latter isn’t squandered by vandalizing the Museum’s most respected and beloved galleries. Let’s pray that the Government’s head is less wooden than the original Trojan Horse and backs off entering where it need not. Ah, well, now we can finally speak sincerely of the killing of Canadian history! Changing a national mythology is not a simple task: it will take lots of years and lots of money to develop a national narrative simple enough for the haters in power today. Canada will become a nation of Great Leaders and Powerful Men who fought Courageous and Remarkable battles to Forge a Nation of Warriors and Patriots. *(excuse me while I void my innards). Welcome to Harperville. Where history is only an omnibus bill away from a rewrite. When this happens, it will be an unmitigated tragedy for Canadian history, and for public history generally, and I desperately wish there was a way to stop it. In total total agreement of Dan Gallacher respected opinion and and clarity of the the financial facts.